by the 8th day of May, 2019. Per Section 214 of The Municipalities Act Bylaw 464-06, adopted April 24, 2006, indicates assessment notices produced in a non-revaluation year shall only be sent if the assessed value increased or decreased from the previous year: by $1,000 or by more than 1% of the total assessed value. 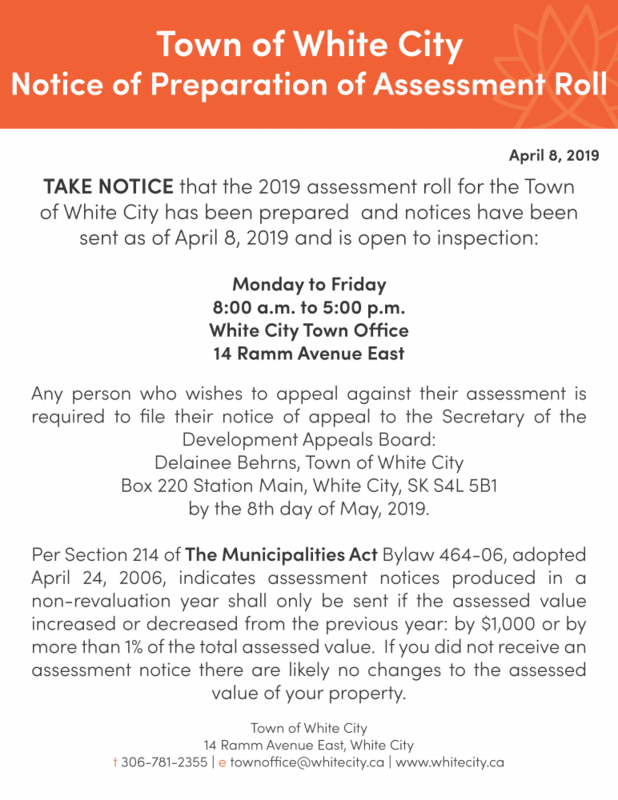 If you did not receive an assessment notice there are likely no changes to the assessed value of your property.